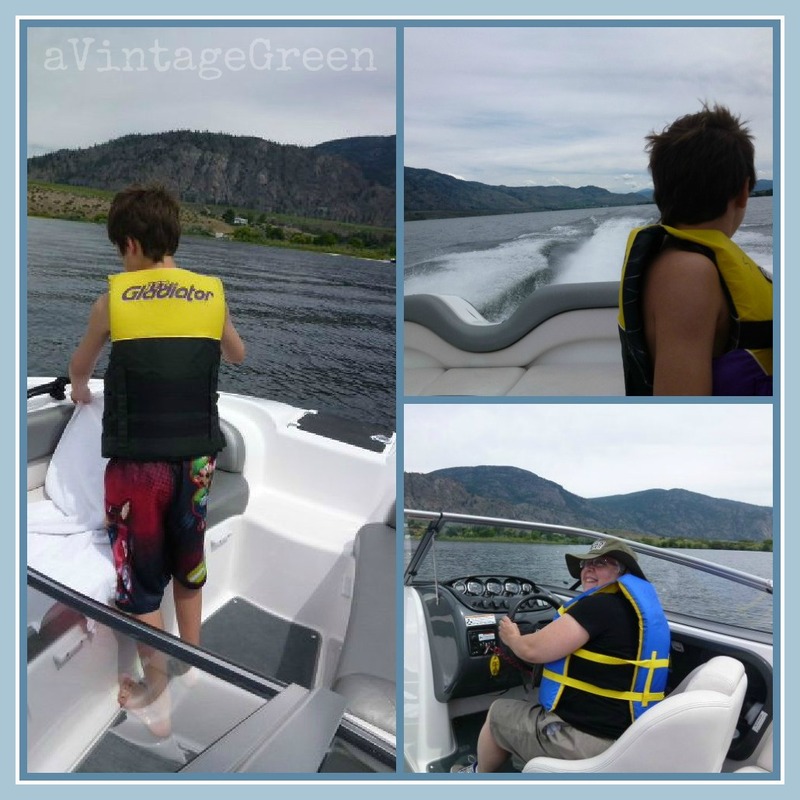 A day off to relax, sleep in, walk around Osoyoos, rent a boat to explore the area from the water, time off. Sunburn. (Had to rush and buy a hat and sunscreen. Used 60 sunscreen twice when boating, but... boy am I red). Fast. Loud. Very happy DS and DGS. No, I didn't drive the boat, DS did. Tomorrow morning we leave for home. A great short holiday. Looks like a wonderful time, Joy! I love the dishes you found! looks like a beautiful place.. Sounds like you had a wonderful mini holiday and you really scored with the china! Sounds like a fun day Joy. Hope you didn't get burned too badly.